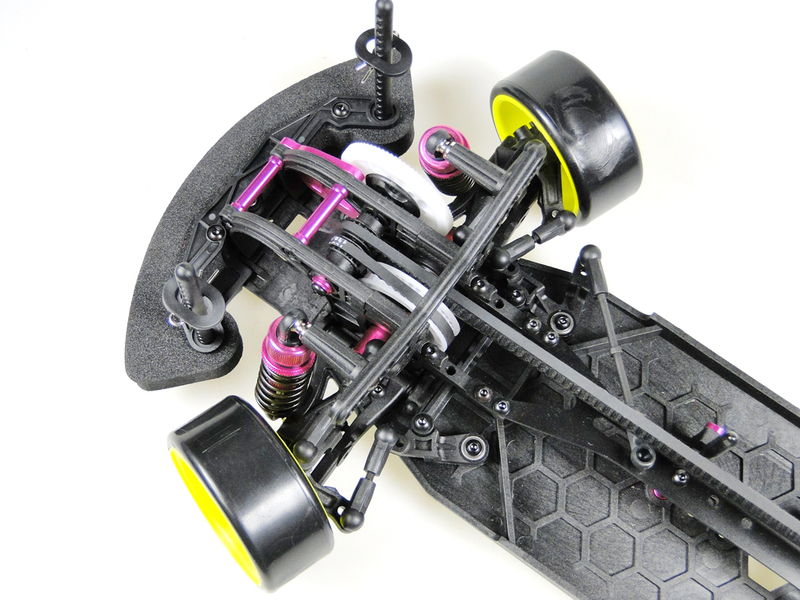 3 Racing’s answer to the hotly contested Drift Class is the all new Sakura D3 CS Drift featuring a true Front Motor and Triple Belt drive train, the true front motor design brings it closer to the weight distribution of real life drift cars giving it the same prolonged high speed drift action. Combining ideas and feedbacks from seasoned Drift racers, the 3 Racing Drift Car was designed from the ground up instead of rebadging an existing chassis and selling it as a new product. 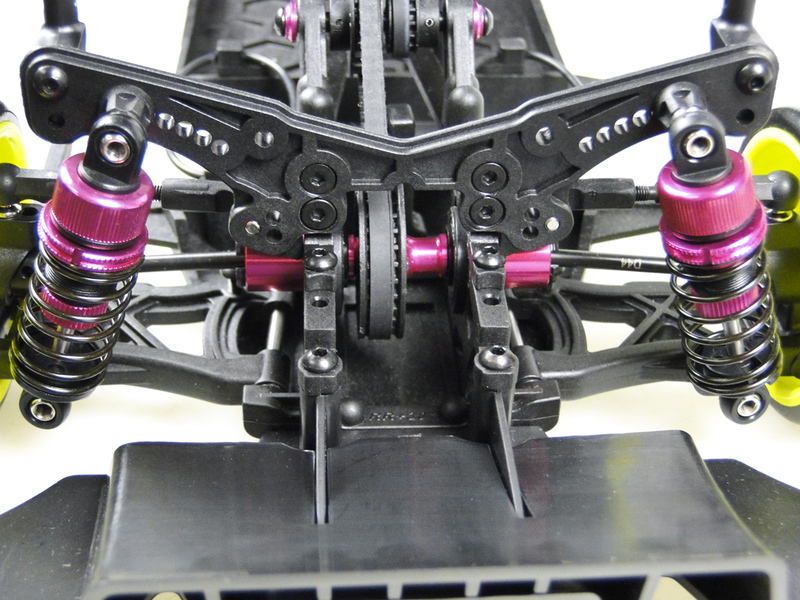 True Front Motor design – using a triple belt drive system this allows the motor to be positioned in front of the front differential and in the centerline of the chassis giving it the forward weight bias needed in contemporary high powered RC drift cars. The belt drive system gives it the advantages of smooth and stable power delivery when compared to shaft drive cars which tends to be affected by motor torque action under acceleration. 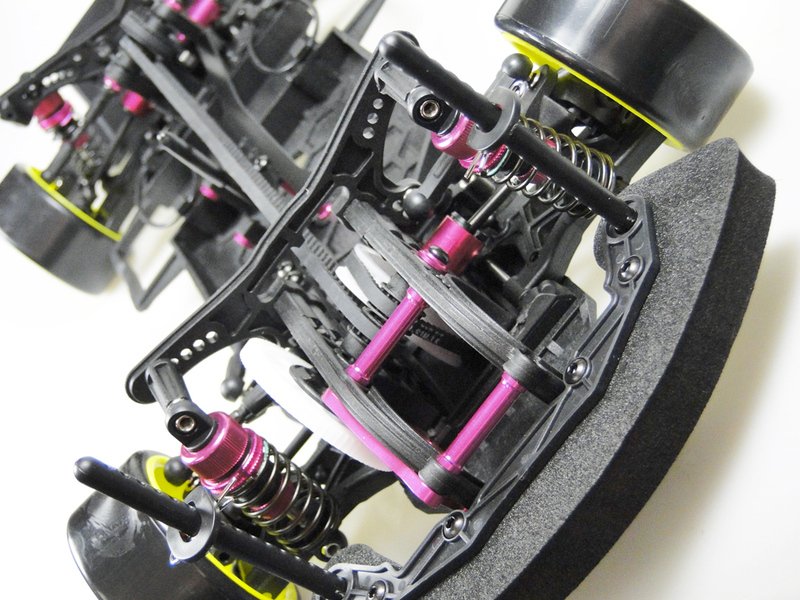 The front arms of the Sakura D3 has been completely redesigned and is unlike anything else currently available. The steering lock angle will be by far the largest available allowing for maximum counter steer actions and higher corner entry speeds. The caster angle on the C Hubs will feature a massive 10 degrees adding more aggressive steering on high speed entries and more closely resembling real life FR drift cars. 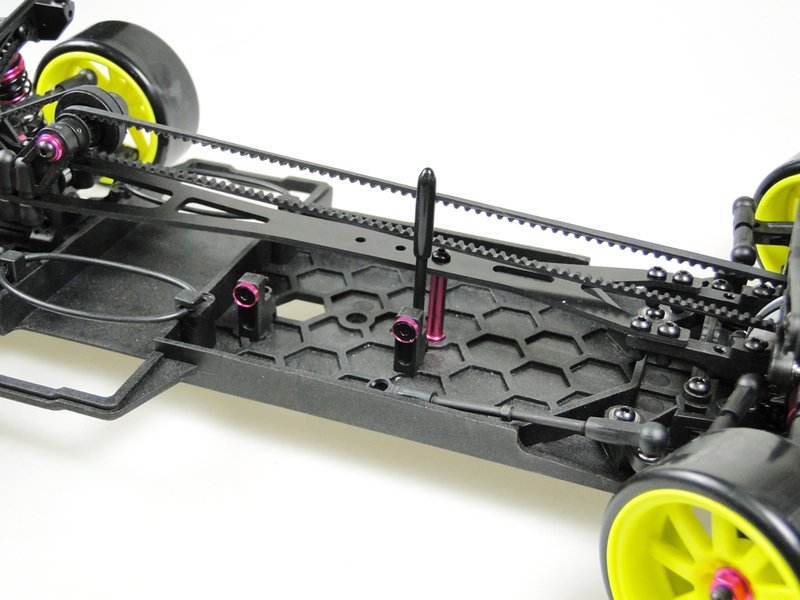 Utilizing a belt drive system, overdriving the front or rear wheels can easily be done by changing the size of the belt pulleys , the 3 Racing Drift Car will come standard with a front wheel drive ratio of 38/13 (2.92) and overdrived rear wheel drive ratio of 30/22 (1.36). The triple belt system allows for flexibility of the positioning of the spur gear shaft allowing it to accommodate a wide variety of spur gear sizes up to a 64P 118T when used with a 40T pinion gears. 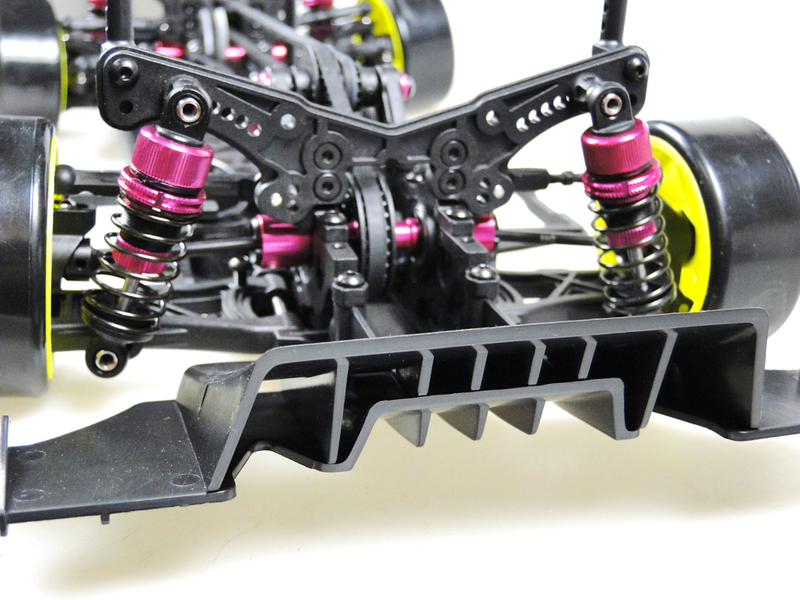 Front and rear solid axles will come standard for the easiest of drift action control with the option of ball and one way differentials available as optional parts. 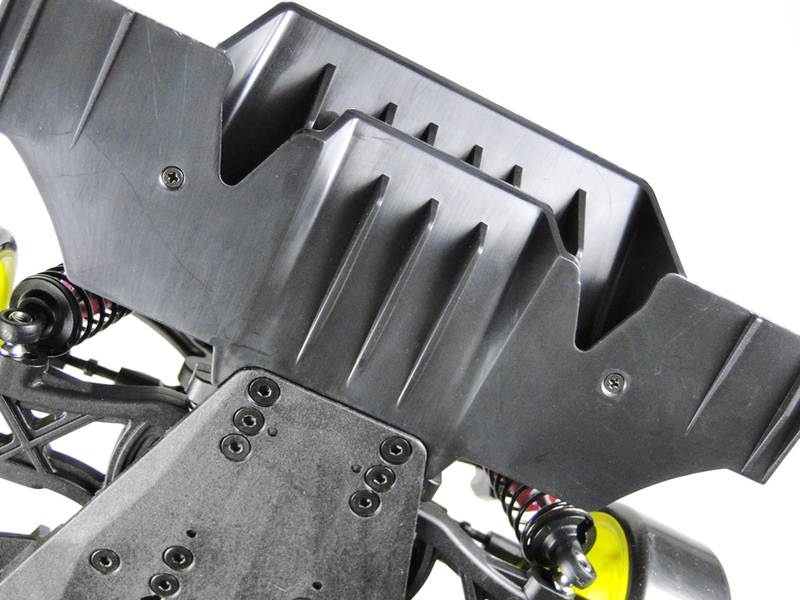 Suspension components have been completely redesigned to accommodate the largest chamber angle possible with the front and rear both allowing up to 10 degrees chamber whenever you need more side grip and also ensuring those large offset blind wheels stay within the side panels. 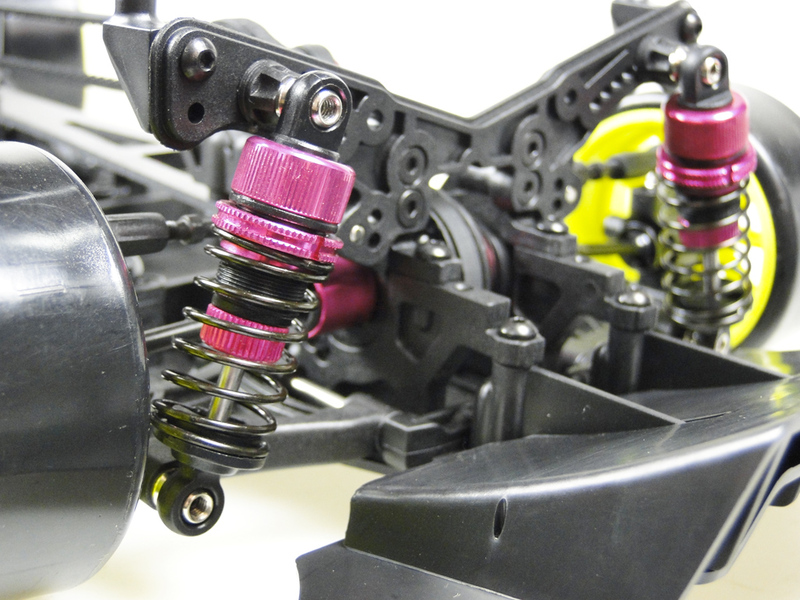 Lengthen 54mm coiled spring oil filled shocks with threaded shock bodies allows a more progressive chassis roll action and easy tuning." 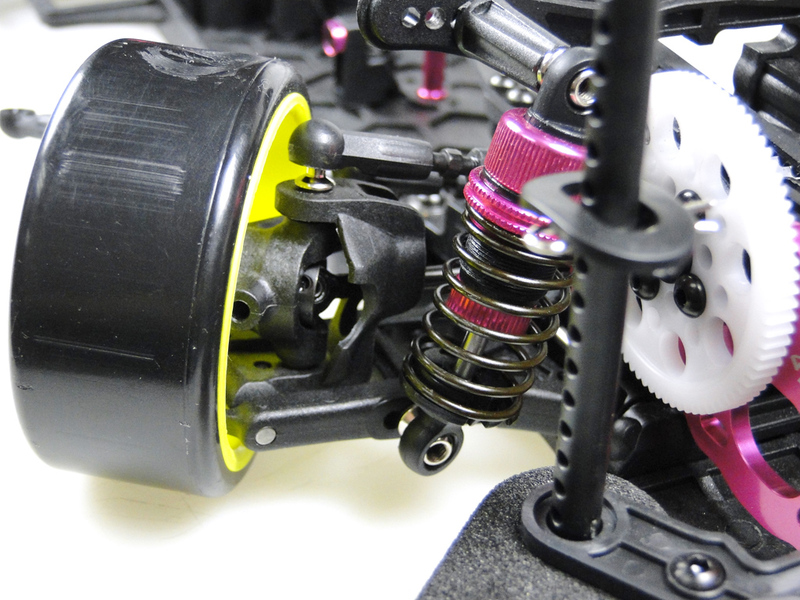 The universal driveshafts of the Sakura D3 has been given a redesign to minimize chattering vibrations of the front inside wheel when using a front solid axleand steering is near maximum lock, which is crucial to maintain the front inside wheel will stay on the ground and provide a more consistent drift action. For an added touch of realism, a molded composite rear diffuser comes standard to give the Sakura D3 the extra attention to detail. 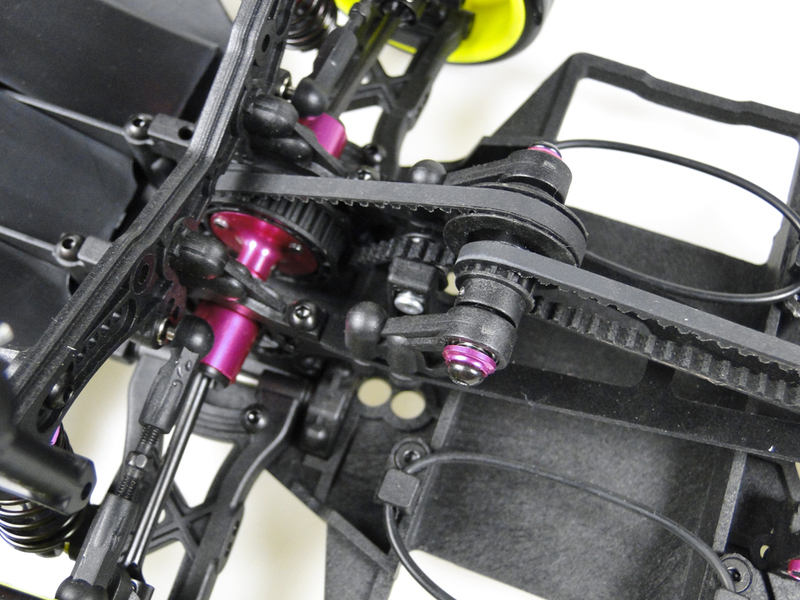 A 80 tooth 48 pitch spur gear will come standard with the Sakura D3 kit. 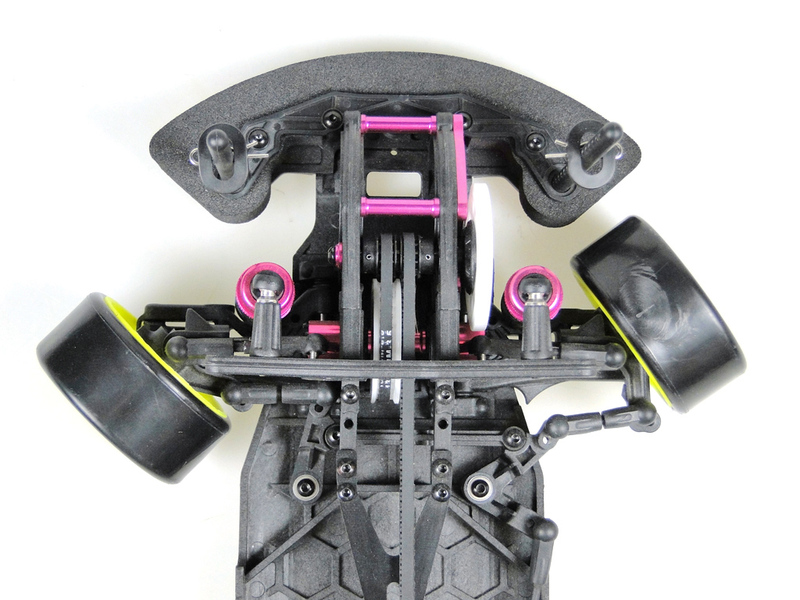 Rear toe-in is adjustable via the change of suspension mounts, the Sakura D3 kit will come standard with -3 degrees rear toe-in mount. 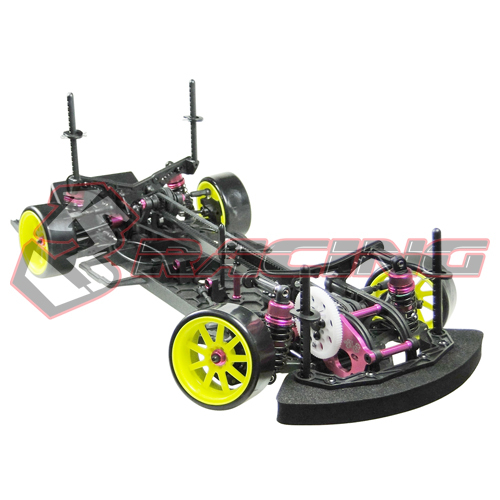 The Sakura D3 will be outfitted with a FRP upper chassis and a molded composite main chassis featuring a motor cooling air inlet and designed with the rigidity to ensure efficient side to side weight transfer to easily initiate high speed drifting.